a trade, a place, multiple values. From the 17th to the 21st centuries, our deeply rooted, shared values have been passed down through generations of workers. 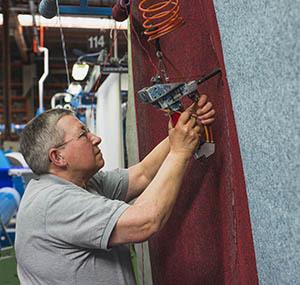 Over time, Balsan has developed close relationships that motivate employees every day in their commitment to our work Expertise, coupled with a genuine talent for creating textiles, has been built up by the team so that we can meet our customers' needs. Consequently, this family ethos - stemming from our founders - has upheld our internal desire to convey our passion to local stakeholders and customers, instigators of Balsan's territorial roots. Carpet is not only a floor covering. It is the fruit of careful creative thinking with one major factor at play: colour. As Balsan's true DNA, colours tell a bold and original philosophy, and most importantly our desire to create. As floors are a true means to express yourself, we wanted to give you all the necessary resources by offering you the widest selection possible. 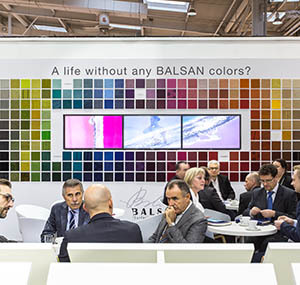 It is also a way for us to show you part of Balsan's spirit in each of our projects. With colour, Balsan is a multitude of creations and innovative each and every time. Because "it's best to do one thing at a time and do it right" is part of our motto, Balsan will continue to be Balsan, and nothing else. One activity, one product, with numerous different consequences. It is no surprise that our activity has lasted close to three centuries, because our drive has always combined productivity with precaution. 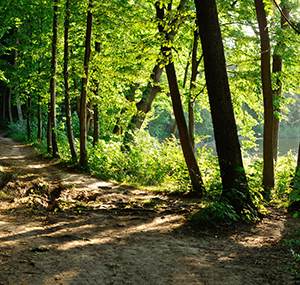 Nature has welcomed us, and this is why we seek to preserve it a little better every day.